Preparing toast exactly the way you like it, is no longer an art form. All it takes is the Kambrook Perfect Slice 4 Slot Toaster. 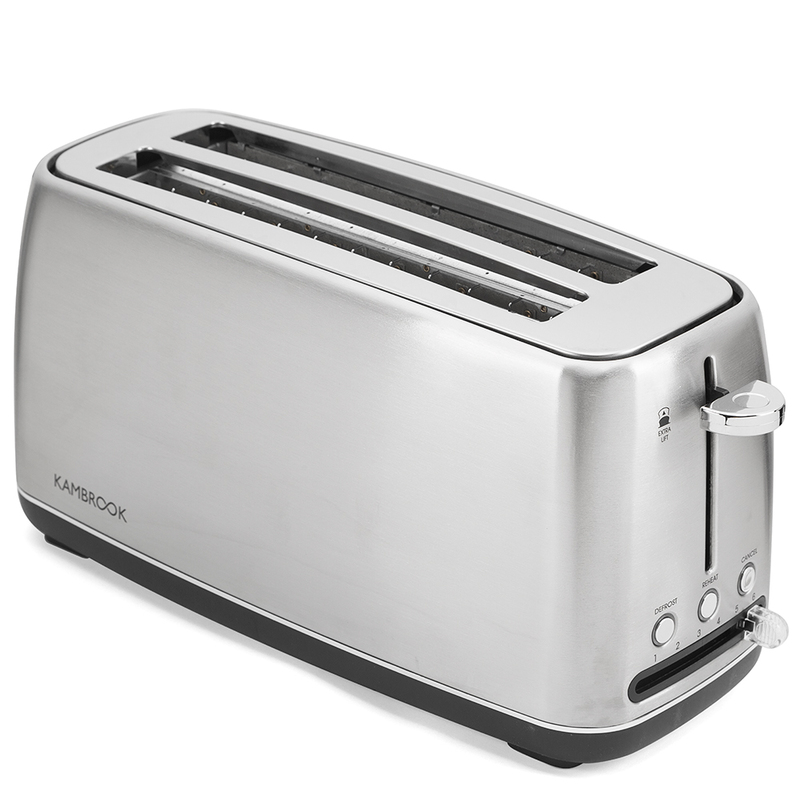 A stylish edition to the kitchen benchtop with its stainless steel body, the toaster features extra lift for easy toast removal and six stages browning control. There really is something for everyone. There’s also nifty reheat and defrost buttons, so you can toast straight out of the freezer without interrupting the flow of your morning. Live a no fuss Kambrook life. Cancel, reheat and defrost controls. Extra lift to make toast removal easy. Dimensions: 37.6cm (l) x 19.8cm (h) x 16.5cm (w).